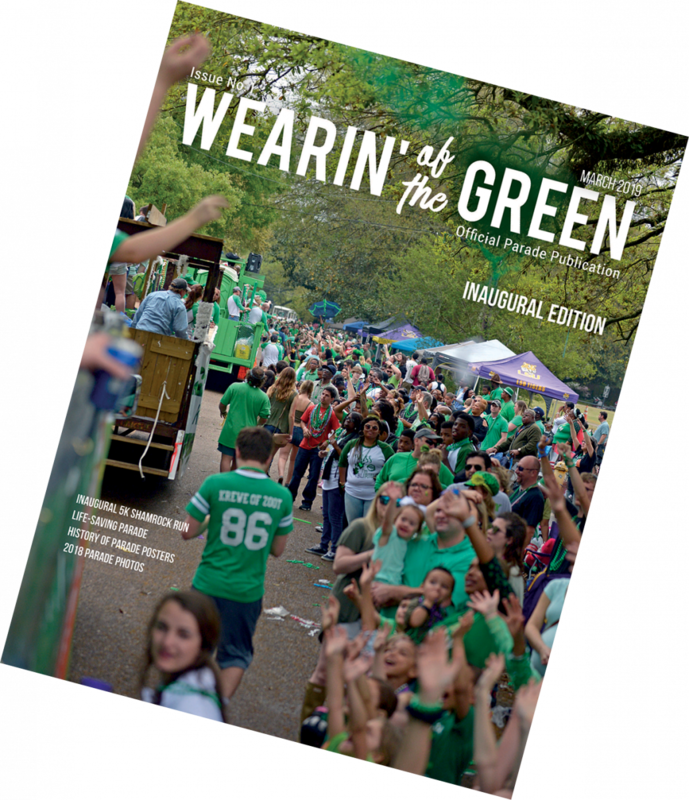 Here is the Inaugural Wearin' of the Green Offical Parade Publication. This Parade Magazine is published annually. Look for it around Baton Rouge or click the magazine below to view online. We hope you enjoyed the Parade this year and the inaugural Shamrock Run! We are currently working on the 2020 edition which means we are searching for 2019 parade photos for publication. In addition, we are asking for human interest stories from people in the neighborhoods, krewes and those that come to enjoy it annually will share with us. Although we love every story, if you have photographs that will enhance it. If you have a story, contact us! If you have suggestions or comments, let us know! For information on advertising, email us at bririshparade@gmail.com. We have not published information on the 2020 publication but know that the closing date will be October 15, 2019.